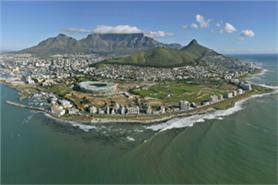 Cape Town has won bids to host six conferences worth an estimated £9m in economic benefit to the city. The wins include the IGPA annual International Generics Conference and the Black Psychiatrists Conference in 2011, the Commonwealth Dental Association Triennial Meeting in 2012, the World Small Animal Veterinary Association World Congress and the Congress of the International Society of University Colon and Rectal Surgeons in 2014. The city will also host the Conference on Human-Computer Interaction in 2013. Calvyn Gilfellan, chief executive of Cape Town Routes Unlimited, destination marketing organisation for Cape Town and the Western Cape, said: "Cape Town remains the jewel in Africa’s business tourism crown. Our improved infrastructure combined with excellent service and our world-renowned hospitality will ensure that the delegates of these conferences have an experience they will never forget." He adds that these conferences give credence to the belief that there is business after the World Cup.